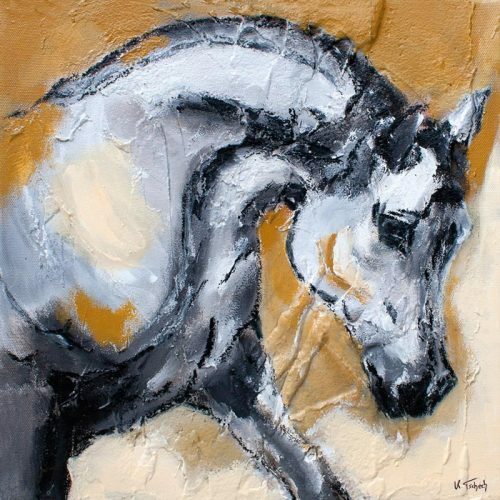 „…and Allah took a handful of Southerly wind, blew His breath over it and created the horse.” (Bedouin legend). 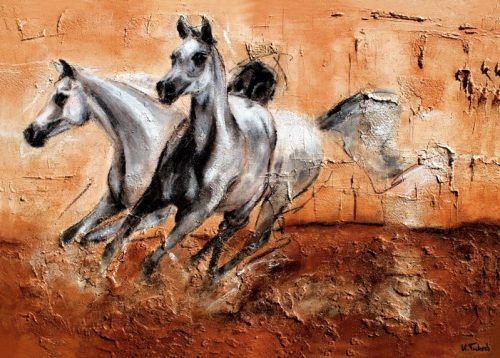 The Arabic horses are the oldest horse breed in the world, which was already bred by the Bedouins in the 7th century. Known for their high endurance on long distances, they are preferred in endurance races. 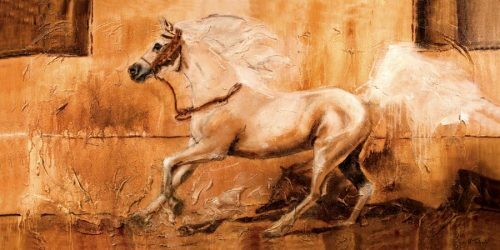 The Arabian is also considered to be the noblest horsebreed in the world and is a popular leisure horse. 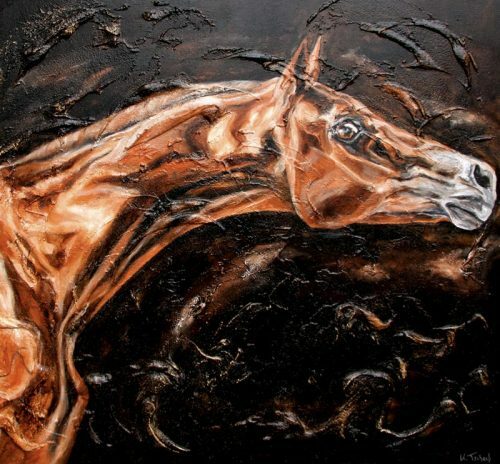 Thoroughbred Arabians are the purest form of these horses and countless legends describe the intelligence, character, endurance, boldness and speed of these creatures. 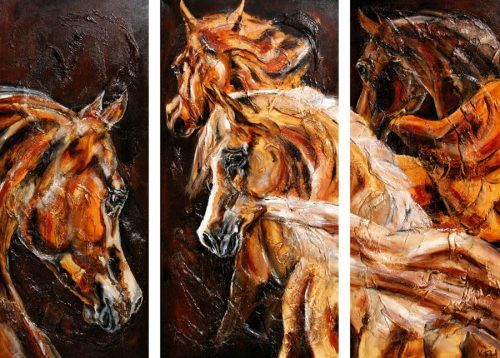 These horses belong to the thoroughbred family and have a gracefully slender and long body, which sets them apart from other horse breeds with their majestic tail and graceful gait. In addition to these characteristic features, an expressive head with slightly raised eyes and a nose with a noble bend stand out from the painter’s horse paintings. 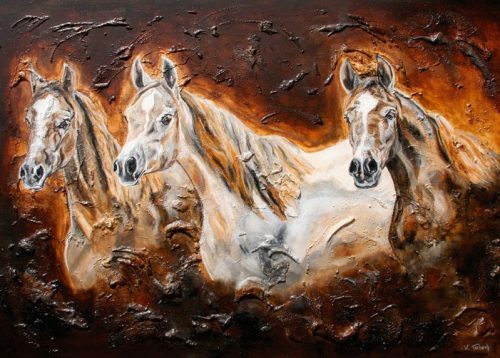 These peculiarities combined with their sensitive and fiery nature make these horses unique animals. 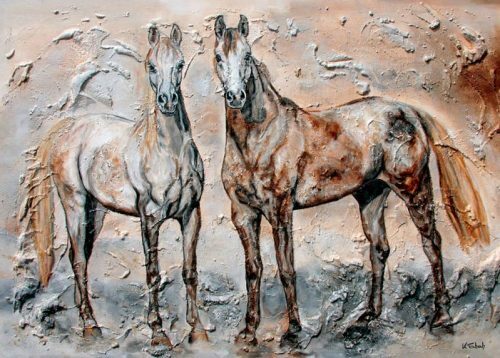 Therefore you will find noble, realistic horse illustrations in the form of commissioned works of Arab horses as well as abstract impressions on the arabian horse paintings of KerstinTschech. 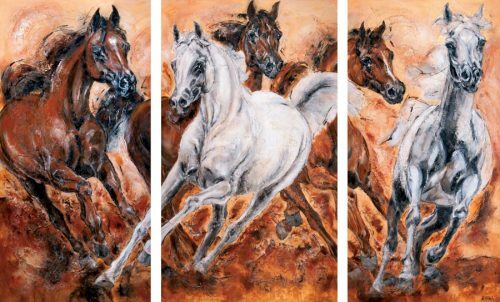 The most beautiful and best Arabian horses in the world come from Al Shaqab in Qatar, one of the most famous Arabian studs in the world. Many of the breeding horses of Sheikh Hamad bin Khalifa Al Thani can be admired in international Arabian shows like the Salon du Cheval de Arabe or the Arabian Horse Show in Menton. 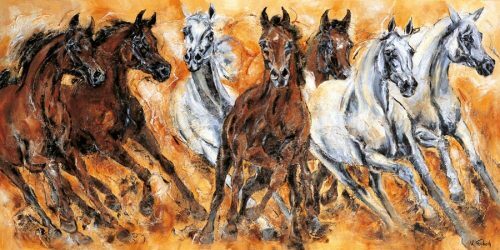 The artist has also been there several times and portrayed these horses, why you can find various Arabic Horses Art Prints in this section.